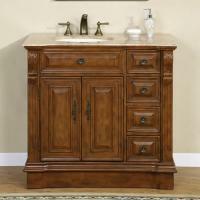 This hardwood single vanity is all decked in earth tone shades. 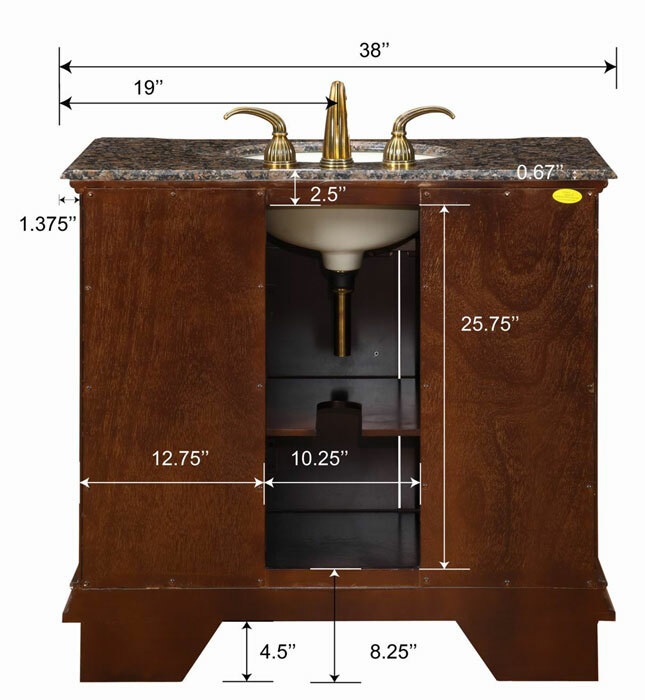 Baltic brown granite counter tops and antique brass hardware provide posh elements and three drawers and an interior shelf ensure you are never without a place to stash your personal items. Fixtures not included. 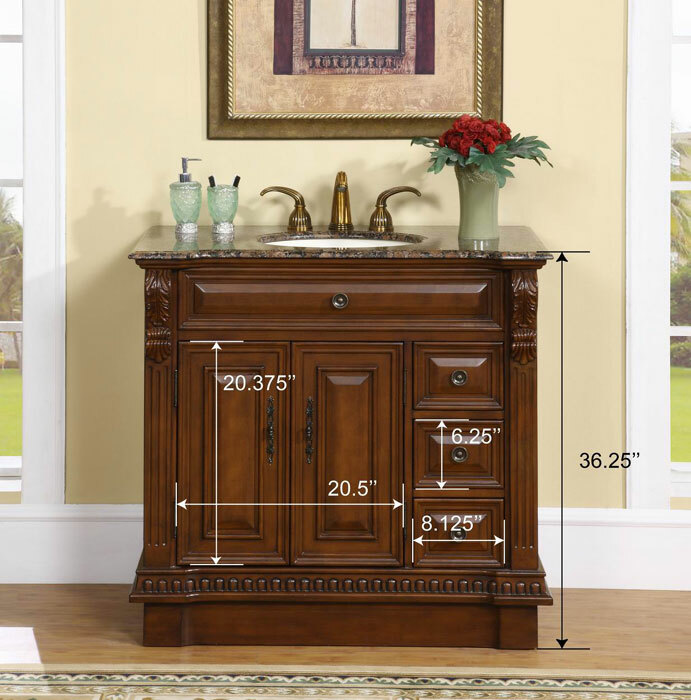 I ordered two of these for a jack and jill bathroom. They arrived promptly and are beautiful. My contractor cut out a bigger hole in the back to accomodate my plumbing but otherwise had no trouble. I have ordered a backsplash from home depot. 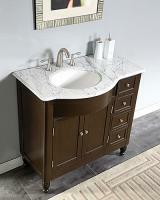 I previously ordered a larger vanity for a guest bath with the same granite top and was pleased with it as well. 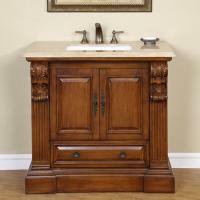 Very Happy with the range of vanities and service from this company. Solid construction, nice soft brown color. Beautiful! Excellent customer service. 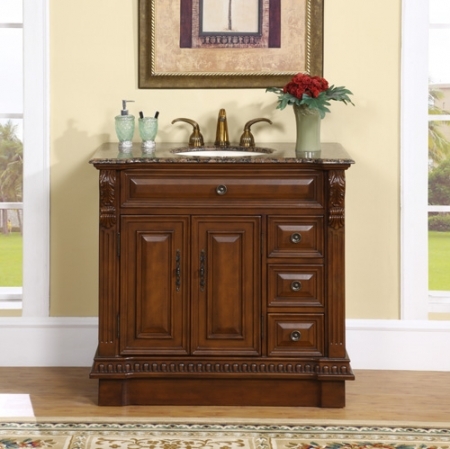 Will recommend Unique Vanities to friends/family. The vanity is beautiful! Very impressed in such a short delivery time. Thank you so much! 5 Stars- Great thanks again!